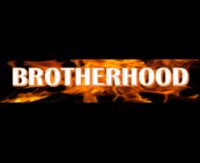 Core Values – Brotherhood – Pro Poly of America, Inc.
Brotherhood is a core value at Pro Poly. We borrowed it, and all of our core values, from the US Marine Corp.
Of course, this core value plays a different role in our civilian world; it does not usually carry the life and death weight that a Marine must adopt and instill, but it nevertheless is very meaningful to our foundation of corporate philosophy. We believe that brotherhood means working together as a team. We have each other’s backs. We have fidelity to each other and to our company. Our team members are committed and faithful to our company mission. We try our best each and every day to support each other in order to sell, engineer, build and deliver high quality products for the fire and truck delivery industries. As a team member, we care about our work product and the quality of our work as it affects our team and company. It is a privilege to serve on the Pro Poly team and commit to the cause of manufacturing excellence with our brothers and sisters at Team Pro Poly.